September 10, 2018 (Investorideas.com Newswire) A ROTH Capital Partners report covers the terms of the proposed transaction and the impact on this company. 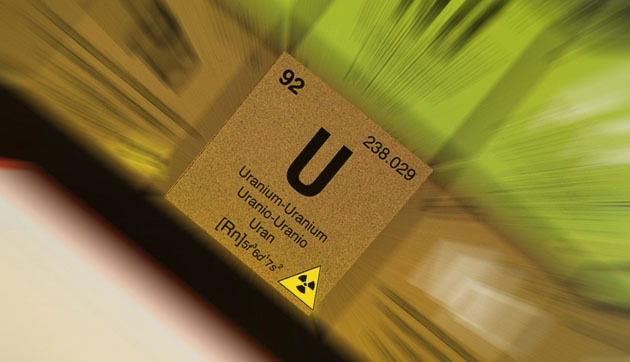 In a Sept. 6 research note, Joe Reagor, a ROTH Capital Partners analyst, reported Denison Mines Corp. (DML:TSX; DNN:NYSE.MKT) agreed to acquire Cameco's 24% interest in the Wheeler River uranium project for 24.6 million Denison shares. The shares were valued at $0.65 apiece, for a total of $16 million. That amount compares to $94 million, the difference between the values ROTH attributes to Denison's shares pre and post acquisition, $392.3 million and $486.4 million, respectively, Reagor pointed out. Because the Toronto-headquartered producer "paid a below market price," for the stake, noted Reagor, ROTH increased its target price on the company to US$1.20 per share from US$1.10. Denison is currently trading at around US$0.48 per share. The deal, which Reagor described as "accretive," will boost Denison's ownership in Wheeler River to 90%, assuming the other partner of the joint venture, JCU Exploration, does not exercise its right of first refusal to acquire a prorated portion of Cameco's interest, which would amount to about 3.16%. Should it do so, Denison's ownership of the project would be roughly 86.48%. Reagor concluded the report by adding the transaction should benefit Denison shareholders because they will have a "larger percentage of future resource increases as the company continues to explore the project." ROTH maintains its Buy rating on Denison.